Christopher Duffy of Duffy London is back again with a new design that captures the imagination, tantalizes the mind and inspires complete wonder. 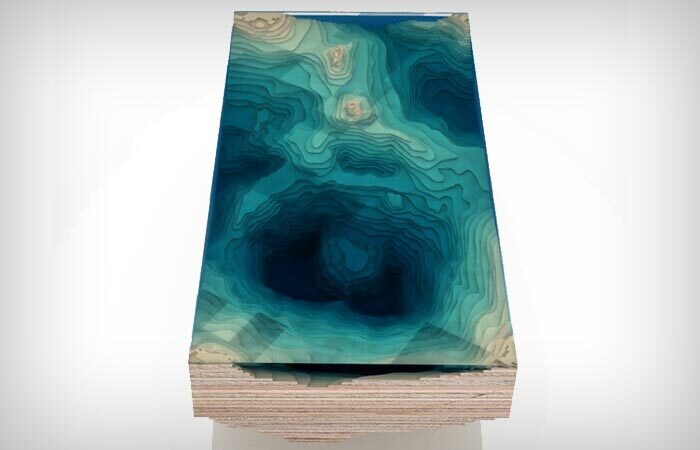 A piece so unique and so utterly beautiful that one cannot help but stare in amazement as your mind becomes engulfed with thoughts of nature. 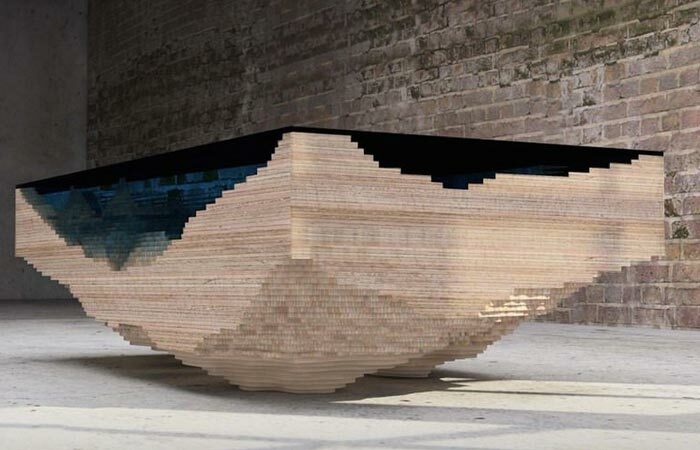 We present to you Christopher Duffy’s latest creation – Abyss Table. This piece is bound to look great in any home and would be a fantastic conversational piece. 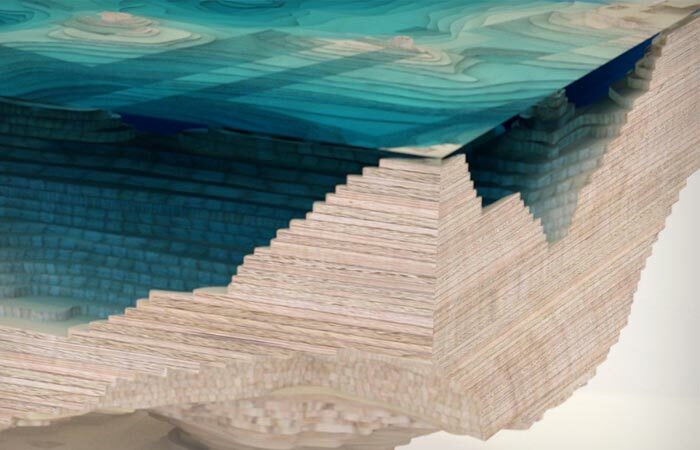 Abyss Table is a creation of the utmost ingenuity as it captures the serene beauty of ocean depths with a variety of depth. 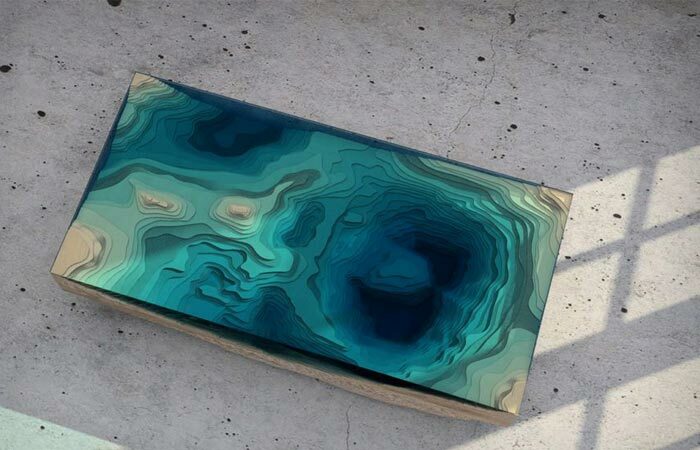 After a trip to the glass factory and noticing how the glass darkens with layers added Duffy thought about how he could use this to his advantage and create a table that looks like a 3-dimensional model of the ocean floor. The team spent over a year to perfect this design by testing different types of wood, Perspex and sculpted glass to bring us this one in a million design of varying layers of wood and glass that brings the aesthetics, serenity and amazement of the ocean into our very homes.